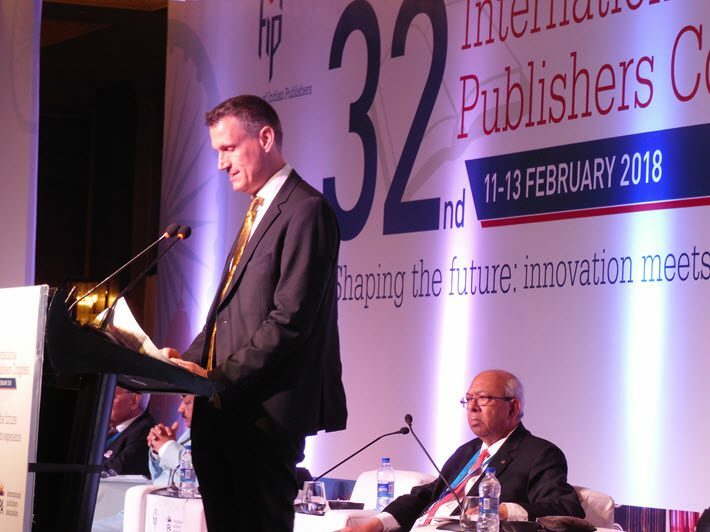 Urging the International Publishers Congress to embrace its most forward-leaning trends—and promote its timely work to the world—IPA president Michiel Kolman convenes the industry’s 32nd gathering and welcomes industry leaders to agenda-anchoring. While many in book publishing’s most advanced markets have aggressively pursued the blessings of consumer data and supply-chain advances that the unstoppable digital dynamic offers, the emotional core of the business—and the operational reality in many markets—trends toward sentimentality about the industry’s traditional values and is unclear on where book culture should stand in coming decades. The three-day biennial congress is themed “Shaping the Future: Innovation Meets Experience,” and Kolman has encouraged its hundreds of delegates to join him in trying to catch the international industry’s balance between traditions of literature and electronic entertainment consumption. “Our strength is our centuries of experience in bringing authors’ works to their readers,” Kolman said, “and we are constantly innovating in how we do that. “We provide high-quality information to our end-users in the right format and at the right time. This is well illustrated by how medical publishers provide crucial information to emergency room doctors so that they can take crucial decisions. And that is now supported by Artificial Intelligence. Can it get more futuristic than that? This was impetus of Kolman’s message to the conference—an appeal to the assembled publishers’ associations of 60 nations that included obvious references to the perceived excesses of Facebook, Google, Amazon, and placed book publishing on the side of the angels in social responsibility. “Global technology companies,” he said,”have successfully presented themselves as the exciting future. While some of their gloss is starting to fade amid scandals of fake news and tax avoidance, they are still framing many of the policy questions that will have an impact on our industry. 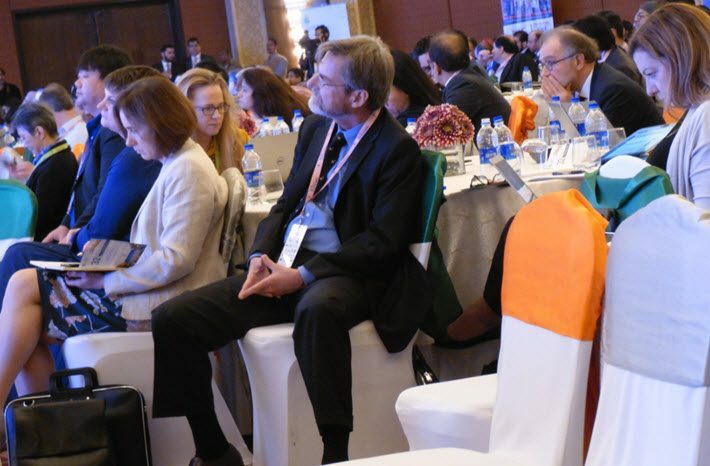 Kolman thanked the hosting Federation of Indian Publishers, noting that theirs is the sixth largest market in the world, as he was introduced by Delhi’s Asoke Ghosh with NK Mehra of the FIP, and he welcomed three of his successors as president of IPA—Richard Charkin, Ana Maria Cabanellas, and YS Chi, each of whom will be heard from onstage during the course of the congress. So critical is each step in the progress of the congress’ exploration of themes that in recent revisions to the schedule, the program has been unified as a “single track” agenda without competing events to divide the delegates. And HarperCollins UK chief Charlie Redmayne now is listed on the second day’s online literature discussion before the congress’ gala dinner. 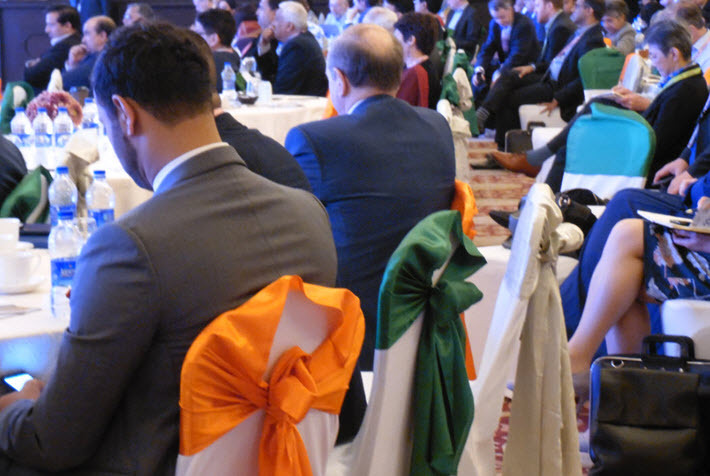 That event, which awards the IPA’s Prix Voltaire for valor in freedom to publish, is sponsored by the UAE’s Sharjah Book Authority, chaired by congress speaker Ahmed Al Ameri who opened the emirate’s Sharjah Publishing City in November as the world’s first free trade zone for publishing. 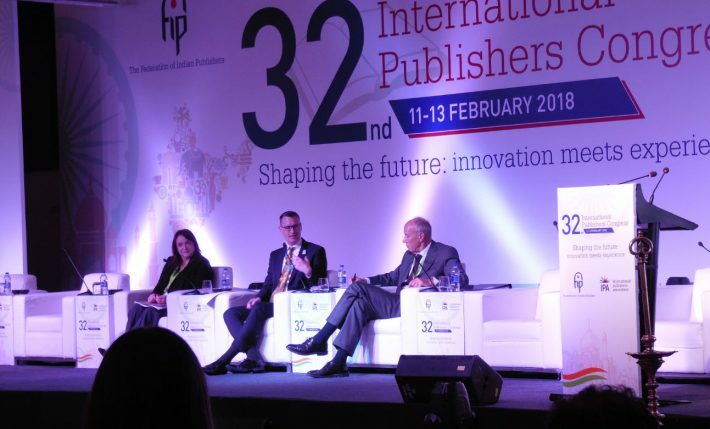 And in a highly popular afternoon appearance by the World Intelletual Property Organization’s (WIPO) Francis Gurry and the Association of American Publishers’ Maria Pallante—with Michiel Kolman chairing—the delegates were challenged with some trenchant insights into the big-picture issues around IP. Pallente, a former Register of Copyrights in Washington, while not disagreeing with Gurry, stressed that platforms “are part of the disruption, the challenge, the innovation. And they’re partners of publishing. This brings into question whether there should be more government oversight.” She also said that in cases of copyright violation, even when infringement is certified by a court, the question of blocking sites is difficult. “Coordination among governments” is key to piracy and data infringement response. 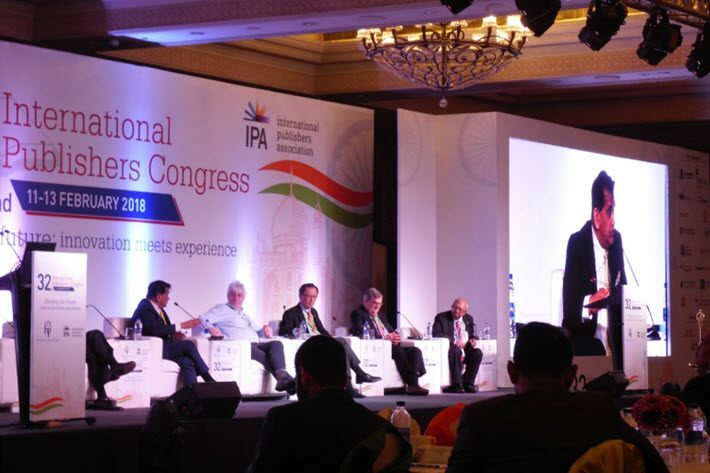 You can follow our updating coverage from New Delhi of the 32 International Publishers Congress on hashtag #IPACongress2018 and here at Publishing Perspectives. 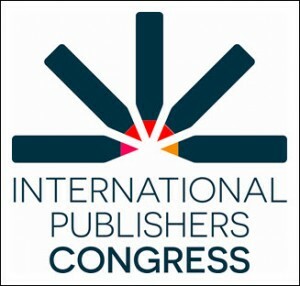 More of Publishing Perspectives’ coverage of the International Publishers Association is here.